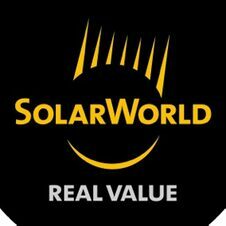 ​High performance solar systems. America's largest solar manufacturer since 1975. Advanced power electronics and battery backup power for renewable energy systems. Microinverter technology delivering higher energy production and greater efficiency. Solar photovoltaics (PV) are devices that convert the sun’s light into electricity. When someone invests in a solar PV system, it will generate electricity on-site and reduce the amount of electricity that must be purchased. A sufficiently sized system can cut an electric bill to nearly zero (there’s still a small, monthly fee if you stay connected to the grid). Net-metering is a policy that lets a PV system owner build credit with a utility provider for any electricity they produce but can’t consume by sending excesses to the grid. These credits can then be used to receive electricity when the PV system is producing less than required (e.g. at night). By using net-metering, a separate backup storage system, like a battery, can be avoided. This depends on a host of factors such as how much electricity you use, how much of your usage you’d like to offset with a PV system, your budget and the space available for a PV system. By performing a site-assessment and working with the customer, we can design a PV system to meet your exact needs. How much space do solar panels take up? For many customers, a solar array of sufficient size can fit on the roof of the residence. If it is determined it cannot fit, a ground-mounted PV system can also be installed. What are the costs of installing a solar PV system? The cost of a purchasing a PV system includes a few different variables. The size of the system plays the largest role. More specifically, the costs include the solar panels, mounting hardware, electrical wiring and processing equipment, as well as labor. 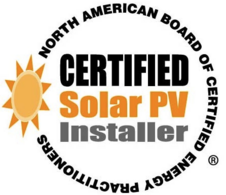 With the current federal and state tax credits, as well as rebates offered by some utility providers, a solar PV system can be a very affordable investment. Maintenance is usually negligible. Solar PV systems have no moving parts and are very robust. If it hasn’t rained for a long while, it is sometimes recommended to clear way any dust or debris with a garden hose, for example. In the winter, snow will usually slide off the sloped solar panels. The sun will usually clear off any snow accumulation in a day or two, if it doesn’t slide off. What if my roof doesn't face south? South-facing roofs are recommended for PV systems because they receive the most sunlight over the course of a day. East-facing or west-facing roofs can be used as well. North-facing roofs are generally not recommended for PV installations. If a system cannot be optimally designed for a roof, mounting the system on the ground is another viable option. Will solar detract from the beauty of my house? We sure don’t think so. A PV system designed and installed by Green Light will be done so professionally and look great on your home. We also think it makes a statement about you yourself: perhaps you are a forward-thinker, a wise investor or concerned with the future of the Earth. Will solar work at night? No, not really. If you’re connected to the grid, net-metering (see above) can be used to “store” any excess electricity generated during the day. If you haven’t stored enough credits to cover all your electric needs for the night, you can still purchase electricity from the utility just like you could before installing a PV system. If the sun isn’t shining, that doesn’t mean you won’t have electricity. For off-grid applications, some sort of energy storage device, like a battery, is required or perhaps another form of electric generation. Or click here to send a direct message and we'll contact you as soon as possible.